Štrigova is where the earth fell in love with the sky, kissing it with her peaks, and sky returning with the best it has. With sun and rain when needed, with snow and fog when earth soughts for protection. The same is with people. They rely on each other, with their pure souls and minds, still relaxed in the manner of old-fashioned habits that unobtrusive way of life gives to those who live in harmony with nature.Everything the modern world almost has forgotten, still lives in Štrigova. It is the Eden’s corner, they say. The hills are goldengreen there, decorated with vineyards whose fruits give divine drink, forests clean the air, hidden roads strengthen human’s body, and family homes warm up the valleys. Štrigova is where the country complements the sky. It is where everyone is like at home, and home is a place where you return again and again. 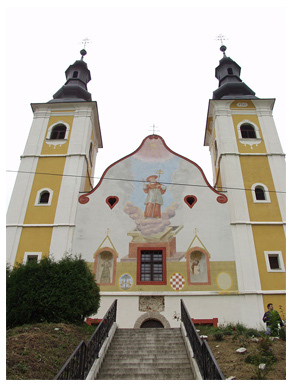 The center of religious life is the Church of St. Mary Magdalene in the heart of Štrigova, built in the 17th century. Near around is the Church of St. Jerome, built between the years 1739. and 1752. The foundations are basilican, from early Christian times. In the Church, that important cultural heritage site, many priceless frescoes of the baroque painter Ivan Ranger are hidden. Since 2010. The Ministry of Culture is ongoing with tests and excavations inside the object of church. Nearby there is a complex of the former Pauline monastery. Legend says that the first vines were planted on the hills of Štrigova region during Romans. 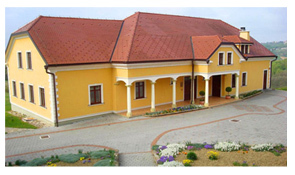 Therefore, it implies that the symbolic trademark of that county is Međimurje wine road – best original tourist product of continental Croatia in year 2007. Dozens of wineries in thirty tasting houses and wine cellars offer the best yield of their own vineyards. This place is the target for numerous visitors from the country and the world, a place of private and business gatherings.